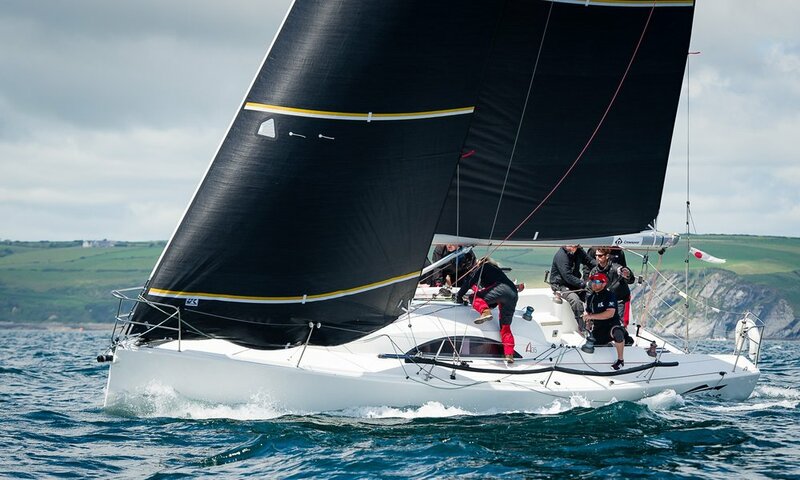 McWilliam Sailmakers started 43 years ago to bring the very latest technology to Irish sailors. 20 years ago we joined the UK Sailmakers group in order to be able to expand the range of products that we could offer to our customers. The worldwide UK Sailmakers has many talented sail designers utilizing the latest design technology. Our designers have experience ranging from the smallest dinghies to the Americas Cup. Locally our designer is Barry Hayes who in his 20+ years of sailmaking throughout Asia, Europe and the US has collected a vast amount of experience and knowledge in both design and construction. Whether engineering your sail, or collaborating with one of the groups other designers, Barry oversees all the details of every sail produced for Ireland. Using current technology he is able to design and supply sail construction details of the highest calibre for any boat in any corner of the world. Every sail we sell is made in a UK Sailmakers loft to exacting standards by experienced sailmakers. UK Sailmakers has many production facilities worldwide that bring to life our designs. Many of our smaller sails are built in house in Ireland, and the larger sails are produced for Ireland by UK Hong Kong. The largest production loft in the UK group, they produce over half the sails sold worldwide. With decades of sailmaking UK Hong Kong has built sails for racers and cruisers all over the world including Americas Cup and Vendee Globe competitors. With Barry still managing and overseeing the UK Hong Kong loft, you know your sail production will be in great hands. Our Service is how we will keep your loyalty. Throughout the season you will find Barry, Claire, Graham and Mark at local yacht clubs helping sailors get the most out of their sails. We are not just selling sails, our customers benefit from our sailing knowledge. UK Sailmakers Ireland’s full service loft is conveniently located and able to handle any repairs or recuts. Cleo and Marcie have over 20+ years of experience fixing and re-cutting customers sails, so you can feel confident leaving your sails with us. We aim to turn around repair times to within the week as our priority is to get you back on the water quickly, the season is short enough! During the winter months, we also offer a winter service, whereby you can leave your sails with us, we’ll check them, fix any issues and then wash and securely store your sails so that you’re ready to go on day one of the season!